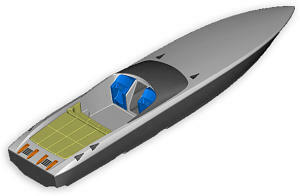 The TRIdent 12 is the smallest of a series of Wave Piercing multihull designs. 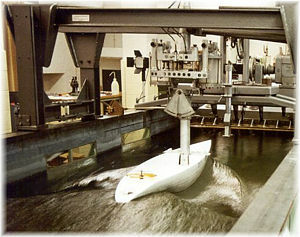 The wave piercing center hull blends into the tunnel while the outer hulls develop into flat planning sections aft. Currently building a 13.5 metre power catamaran aimed squarely at the boating enthusiast who wants to travel in complete comfort with the ability to cruise long distances at speeds 8 - 20 knots, and sprint at speeds approaching 28 knots. 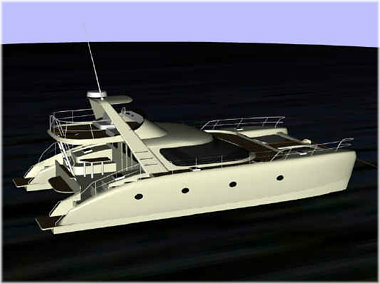 Design of high quality custom sailing and motoryachts from 50 to 150 feet. 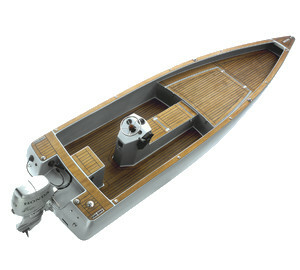 Based in Auckland, New Zealand, Warwick Yacht Design has custom vessels built and being built all over the globe.